The National Eagle Scout Association Outstanding Eagle Scout Award (NOESA) is a prestigious recognition presented by the council NESA committee to Eagle Scouts who have demonstrated outstanding achievement at the local, state, or regional level. The NOESA recognizes the top one percent of Eagle Scouts and is akin to the Silver Beaver Award which is also a limited (quota based) national award conferred on local scouters at the recommendation of their BSA council. 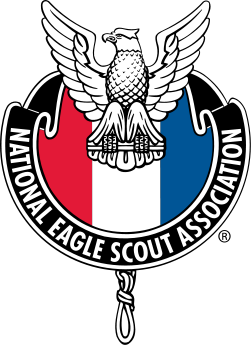 Each council may nominate one NOESA recipient for each 100 Eagle Scout Awards (beyond the first 100) granted in that council during the previous year. Often these men have devoted a lifetime to their profession, avocation, community, and beliefs, at great sacrifice to themselves and their families. Each recipient should receive recognition worthy of a lifetime's accomplishments.